Consultations & Bookings — Aneta Lesniewska Homepathy Polish and English based in Saltaire, Shipley, Yorkshire,Treating Autism, ADHD disorder, OCD spectrum with homeopathy. Development of a tailored treatment plan. In some cases, additional research time by the practitioner will be needed – there is no additional charge for this. Consistent, 8- weekly follow-up video calls on skype or visit at the clinic in Saltaire West Yorkshire keep you on track. Homeopathic treatment is evaluated and your personal treatment plan can be adjusted where necessary. You’ll be given a new remedy if the new remedy is clear and movement has stopped with your healing. We look at large and small changes, any lack of progress, blockages and other important guiding signs, to see how to move your healing gently, fast and safe. I will charge a fee for questions regarding the dosage and selection of homeopathic medicines in cases of colds. Except for exceptional circumstances, your prescription will include links for you to purchase remedies from your most local pharmacy. In the UK that is usually Helios. In the USA, usually Source Homeopathy. I am not a medical doctor and cannot make diagnoses. It’s always wise to see your doctor too for any serious problem. Once you know what you dealing with you can choose your treatment mode. 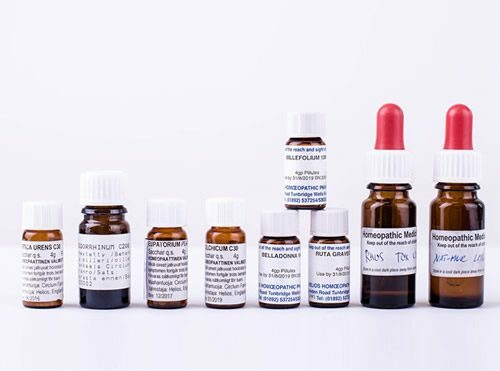 Homeopathy could be used alongside conventional care when needed.